Toddler sizes are pictured below. 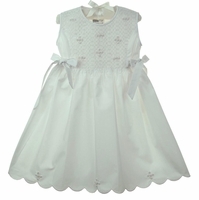 This beautiful little white cotton batiste dress is made by Fantaisie Kids, a new manufacturer of beautifully detailed children's smocked clothing. 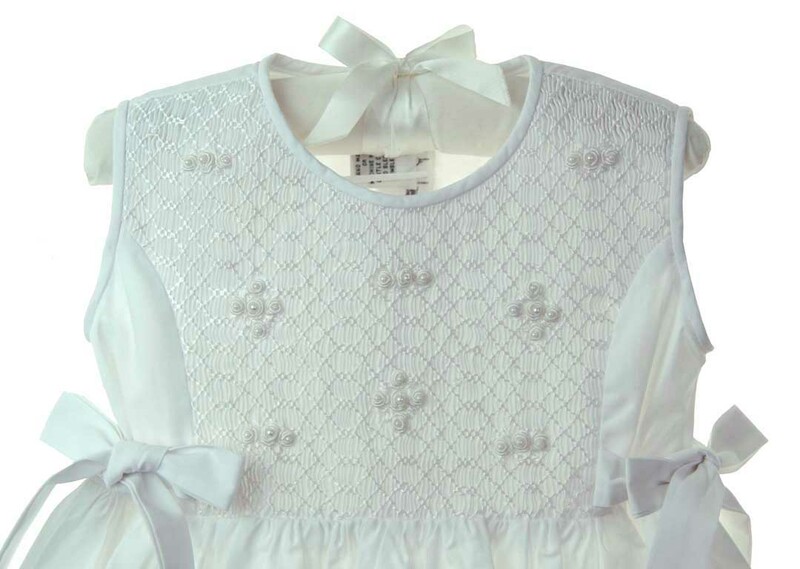 It features a fully smocked bodice beautifully embroidered with clusters of white rosebuds centered with seed pearls. 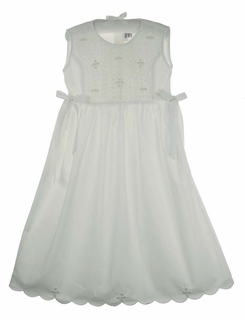 The sleeveless dress has a simple round neckline. 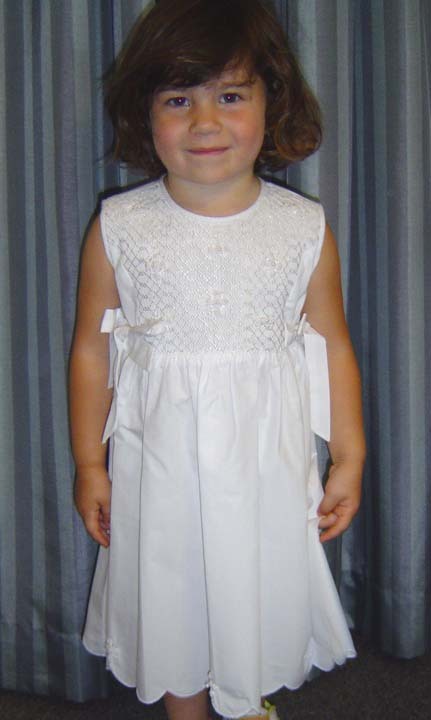 The full skirt is finished with a scalloped hem topped with clusters of white rosebuds centered with seed pearls. 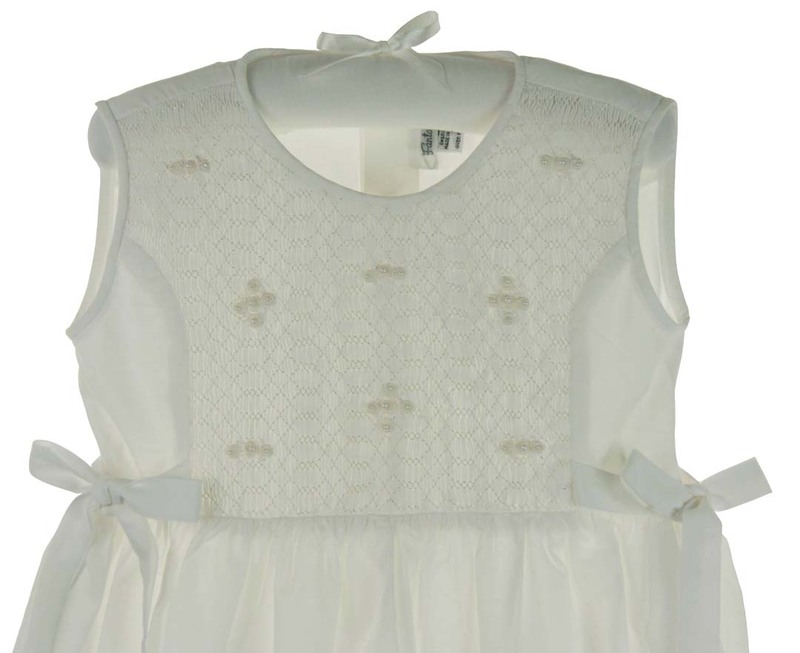 The dress closes in the back with three buttons and ties on each side.